Metropolis Popcorn | Cuyahoga Falls, Ohio | dreaming of the next bite. You always know summer has officially arrived when the outdoor festivals begin. Tonight we were faced with the decision of Blues Festival in downtown Canton or the Irish Festival at the Riverfront in C-Falls. We ended up choosing the Irish festival, partially because the kids don’t dig sitting in one place all night watching blues bands, and partially because Irish fest was bound to have some delicious eats! We were right, but not the Irish fare that we expected. For the most part, it was a collection of typical fair food carts, which don’t get me wrong, I love it all – stromboli, corn dogs, cotton candy, etc. but I was hoping for something at least a little Irish-authentic. Is that too much to ask? We ended up settling on a german cart (ironic) but were pretty pleased with the result, which included potato pancakes, pirogies, and a polish sausage smothered in sauerkraut and mustard. Pretty tasty. 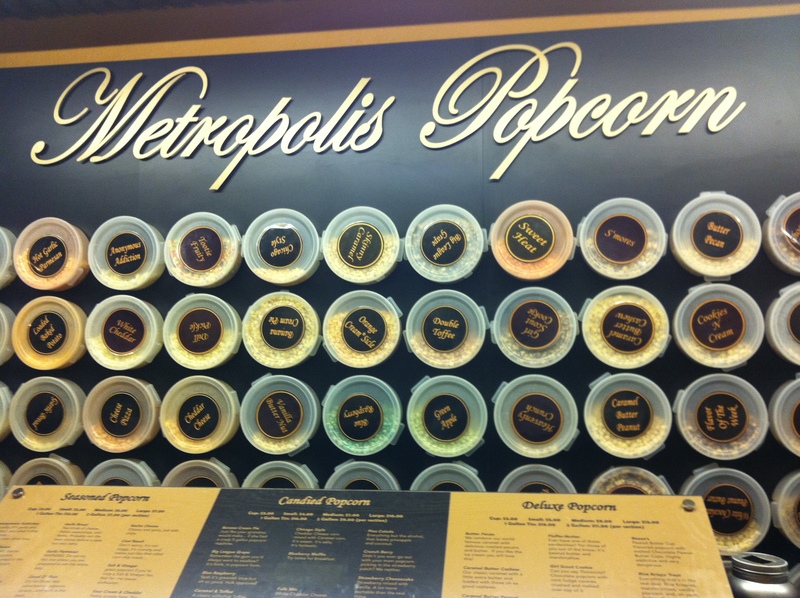 The highlight however was a trip to one of my favorite stops in the Riverfront “strip”, Metropolis Popcorn. This little place is small and funky, but offers an unbelievable forty-two varieties of popcorn in three “categories” (seasoned, candied, and deluxe) with flavors including Loaded Baked Potato, Caramel Apple, Cookies-n-Cream, and Peanut Butter Cup, to name a few. The kids opted for Rice Krispy Treat, very buttery and marshmallowy, a hit with all of us. The adults went for the Super 3 Cheese (a mix of cheddar, white cheddar, and nacho cheese) because I can’t resist cheese-corn and this seemed to cover all the bases. The standout was definitely the nacho, with just a hint of jalapeno-ish spice. We also went for a sweet bag (of course) and chose a combo (not mixed) of Smores and Caramel Cashew. The Caramel Cashew was very buttery, with a plentiful supply of whole cashews. But the star of the night, and possibly my week, was the Smores……..Oh. My. This popcorn has just the right mix of chocolate (not too much), marshmallow, and crumbled graham crackers. Oooooohhhhhhhh. This one in a must try, and get the big bag because you’ll want to share the love. Bottom line, you’ve GOT to get up to Metropolis Popcorn and try some of these…and just a tip, they are very generous with the pre-purchase samples. Now, back to my popcorn. Be gone, scavengers! 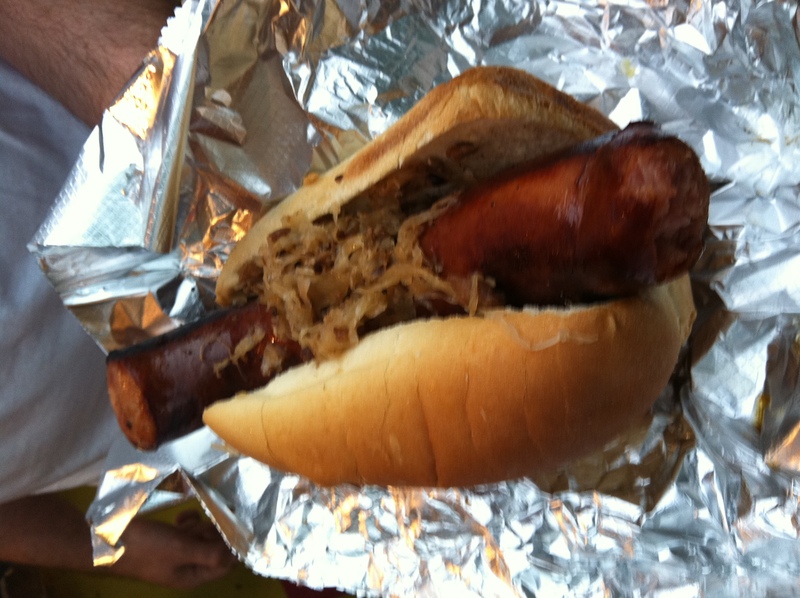 This entry was posted in Akron, OH and tagged one-and-only by Yvette (@foodiedreamer). Bookmark the permalink.